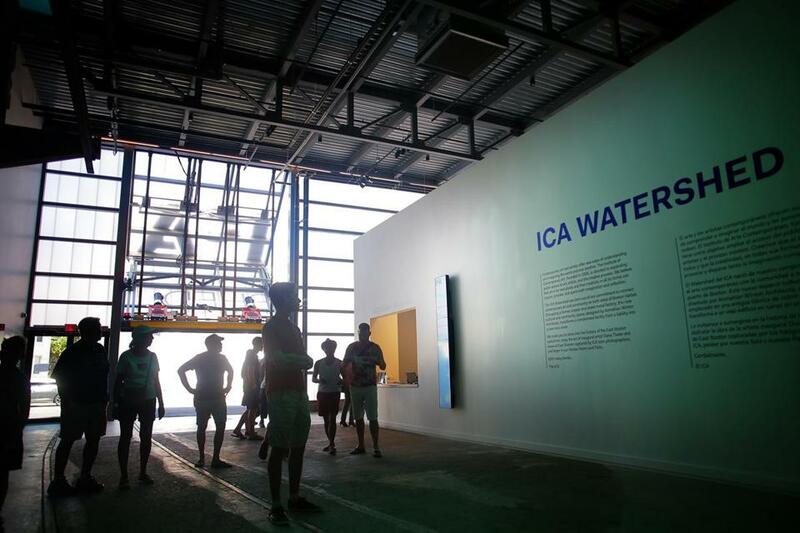 Patrons at the ICA Watershed. The Institute of Contemporary Art has announced the programming for the second season at its Watershed space, in East Boston: an immersive six-channel video installation, “Purple,” by the British artist John Akomfrah. It opens May 26 and runs through Sept. 2. It will be the video’s US premiere. Using both archival footage and newly shot images, Akomfrah addresses the implications of climate change. “ ‘Purple’ is a catalyst for conversation and action,” said Eva Respini, Barbara Lee chief curator at the ICA, in a statement. “The Watershed’s coastal and industrial location provides a powerful backdrop” to consider the video’s themes, she said. Akomfrah, 61, lives in London. His work has been shown at New York’s Museum of Modern Art, the Pompidou Center, in Paris, and Tate Britain, in London. The Watershed opened in July, with an exhibition of works by Diana Thater.